In Europe you have several towns that shares borders with other countries. Basel is such city in Switzerland. 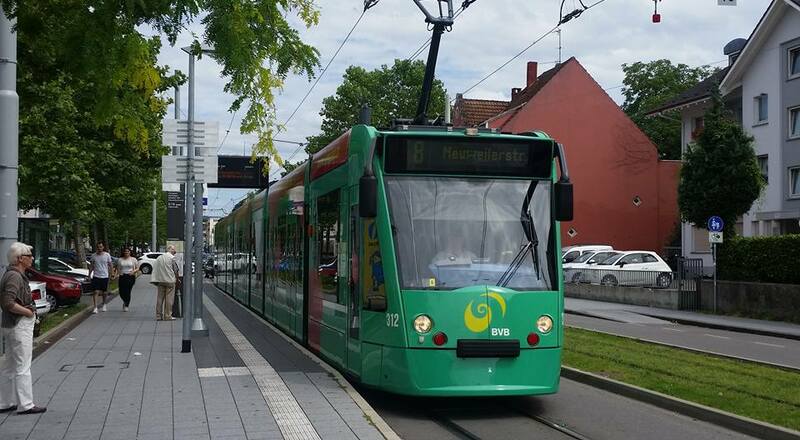 It shares borders with France and Germany in the north, but that haven’t stopped the local tram company from extending their tramline 8 from Basel in Switzerland to Weil am Rhein in Germany. 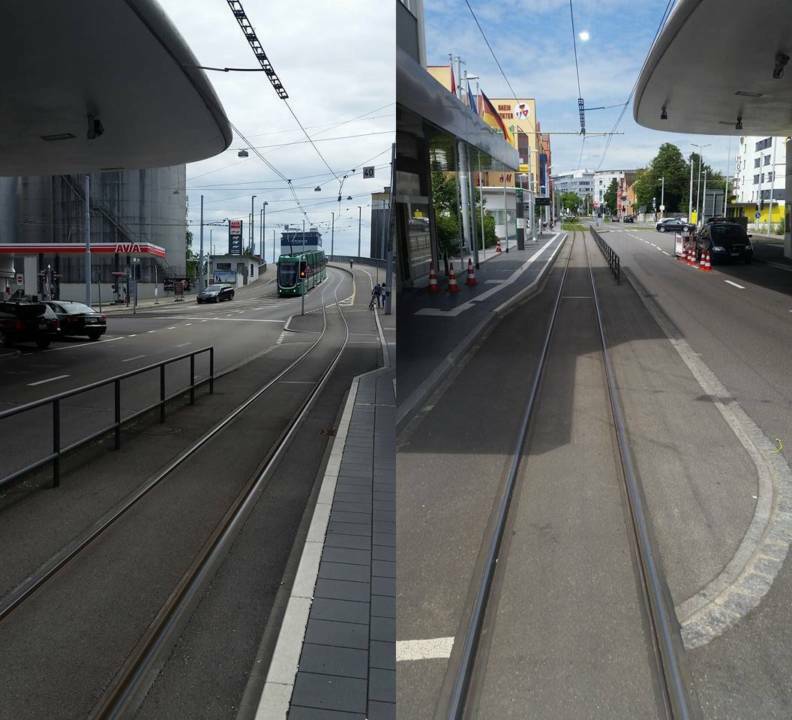 So, here is our experience with tram line 8 that crosses the border. For transit enthusiasts places like this is must to see and experience. As you can see from the map, it is really interesting to see a transit system crossing between two countries. But even cooler when it is just a tram line that most see as a town transit system! 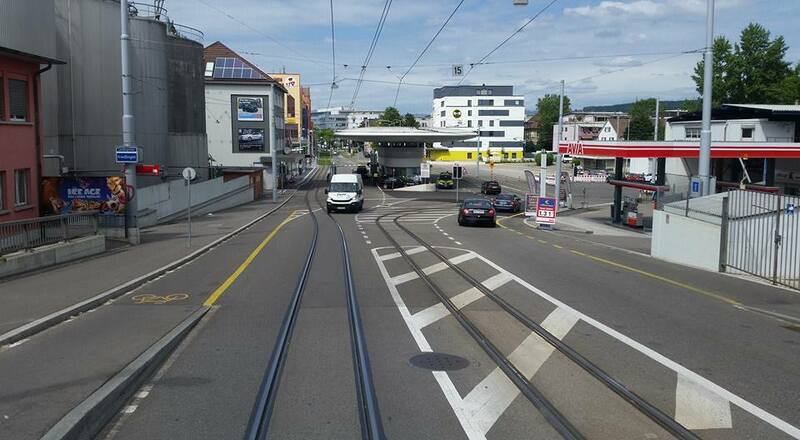 The tram line 8 crosses the border that takes you between Basel and Weil am Rhein. The cross-border extension to Weil am Rhein in Germany was opened on 14th of December 2014 and extended the tram line 8 by 2.5KM. So now you can take the tram all the way to Weil am Rhein bahnhoff main station in Germany or take Line 8 back into Switzerland. With about 170 000 in the city area and 400 000 in the petropolitan erea. Basel is a important city in Switzerland. Connecting with France and Germany. The town got 10 tram lines which is a lot for a city with only 170 000 in the city area. The total length of the network is 85.5KM and is operated by BVB and BLT. BVB got green trams, while BLT got yellow ones and are more interurban lines. Means that they runs to other cities or vilages nearby Basel also. Distrita thanks Jan Flønes for the pictures. Basel seems to be a city that must be visited soon for sure. Distrita is really looking forward trying some of the BLT trams that runs to other vilages for sure.